What a sad ending to a beautiful story. 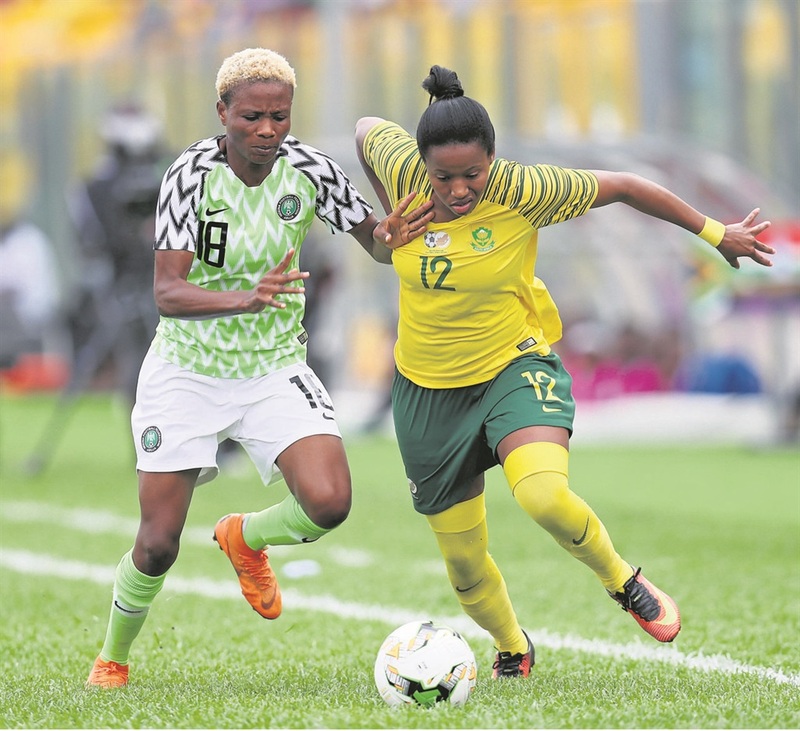 Banyana Banyana were on the cusp of making history, but in the end it was Nigeria who reaffirmed their status as the undisputed champions of Africa on Saturday evening. With their 4-3 penalty win over South Africa in the final of the Women’s Afcon at Accra Stadium in Ghana, the Super Falcons claimed their ninth continental title, while Banyana returned with another silver medal in what was their fifth appearance in the tournament final. South Africa beat their long-time nemesis in the opening game of the group stages a fortnight ago, but luck deserted them yesterday. A miss by Linda Motlhalo during the penalty shoot-out ended Banyana’s fairy tale after the two teams were locked in a goalless draw in regulation time and extra time. While the continental prize continues to elude them, the priceless consolation for Banyana remains their ticket to their maiden Women’s World Cup, which they secured by reaching yesterday’s final. For a while it seemed like the football gods were on coach Desiree Ellis’ side, before they eventually became another statistic of the Falcons’ destruction trail in the continental tournament. South Africa survived a big let-off when they almost gave it all away at the crucial phase in the second half of regulation time. This after goalkeeper Kylie Swart fouled Francisca Ordega inside the box 15 minutes before full time. However, Asisat Oshoala sent her spot kick wide, much to the relief of the Banyana bench. Apart from this miss, there were never really too many other obvious scoring opportunities in the 90 minutes, as the two sets of defences cleared their lines each time they were under attack. Swart would later deny China-based Oshoala shortly in the opening half of extra-time. Yesterday’s match was a bit different to the first meeting between the two sides, who were in the same group when the tournament started a fortnight ago. It was clear that the Falcons had done their homework on the Banyana side that defeated them 1-0 in the opening fixture and ended up as runners-up in the lead-up to the semifinals. The game was an evenly-balanced affair, with both sides taking a fair share of turns to test each other. But Nigeria mostly relied on their physique to bulldoze their way forward to link up with their wingers Ordega and Oshoala, who delivered deadly balls into the goal area. To their credit, South Africa did not panic and instead focused on their strength of moving the ball around even though they couldn’t get beyond their opponents’ defence, with Jermaine Seoposenwe operating as the lone striker. Even the attempt to use the pace of Thembi Kgatlana on the right did not really trouble Nigeria, with right-back Josephine Chukwunonye always opting to arrive first and play the ball to safety to avoid succumbing to the tricky winger. The US-based Kgatlana – the golden boot winner, with five goals in the tournament – showed her individual brilliance in extra time when she broke through a cluster of defenders. Her shot, however, did not trouble keeper Tochukwu Oluehi, who later made a brilliant save from Motlhalo’s piledriver. Things could have turned pear-shaped for South Africa in regulation time, when they were dealt a blow midway into the second half with the injury of midfielder Leandra Smeda. She was replaced by veteran Noko Matlou, who made her first appearance in the competition. Ellis had an unchanged starting team heading to the final, but she was forced to bring in Busisiwe Ndimeni in the place of Refiloe Jane, who was recalled by her Australian club, Canberra United, shortly after she helped Banyana beat Mali 2-0 in the semifinals. In the end it was a great team effort that carried Banyana throughout the tournament and the golden ticket to France is well deserved, in addition to the CAF Awards nominations South Africa got this week. Kgatlana and captain Janine van Wyk were nominated for Player of the Year, Ellis for Coach of the Year, while Banyana are up for the Team of the Year gong again. With all 24 teams going to the World Cup confirmed, where South Africa, Nigeria and Cameroon will represent Africa, Banyana will know their opponents at the draw in France on Saturday.